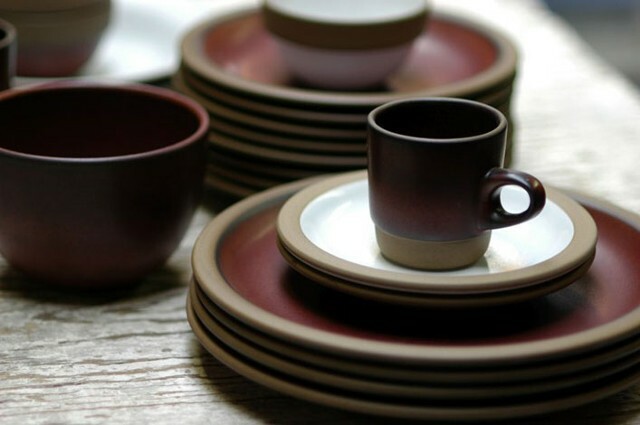 Look at the clean and simple lines of my favorite tableware of Heath Ceramics. 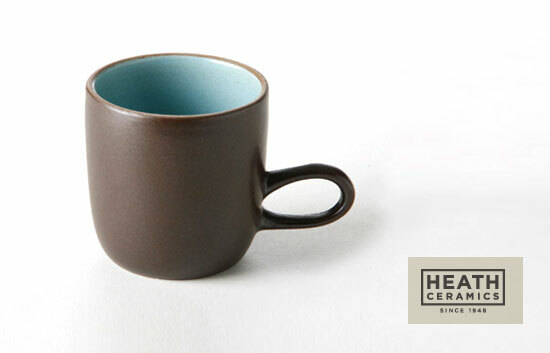 I really want this aqua/chocolate brown studio mug. With the low handle it is as ergonomic as it is iconic. 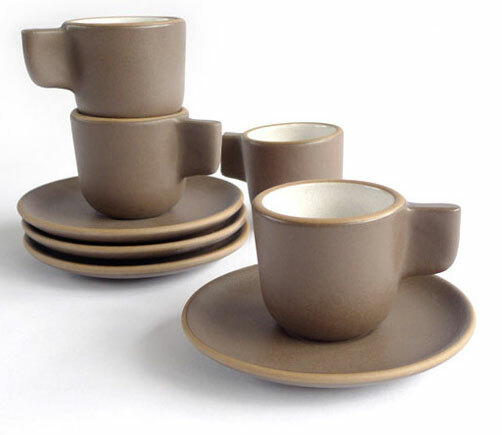 Espresso cup & saucer in opaque white & cacao. The collection is designed in 1948 and every piece is still made in the original factory in Sausalito, California. 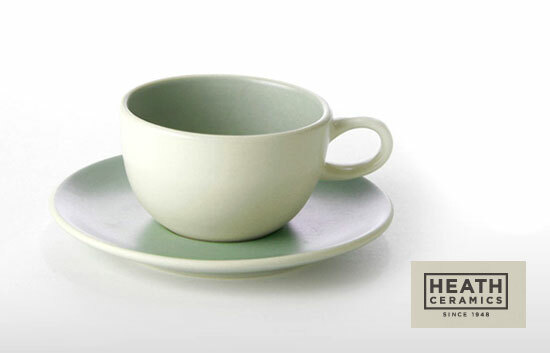 All photos from Heath Ceramics. Dit bericht werd geplaatst in Inspiratie door Ilka . Bookmark de permalink .